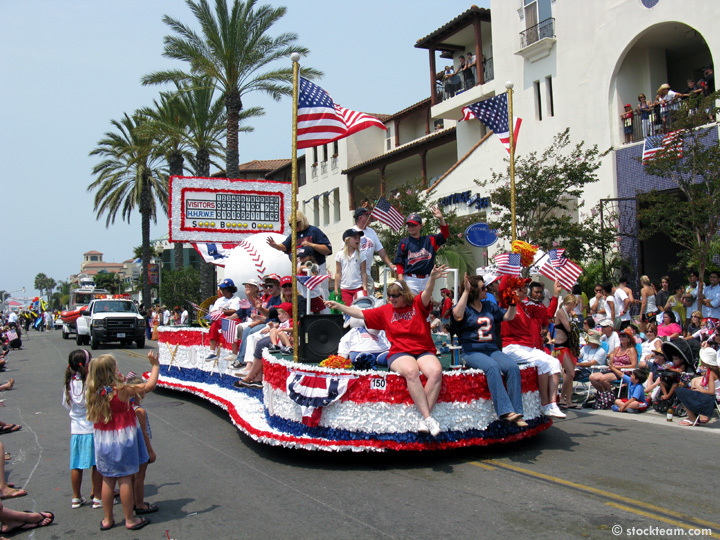 Shown is a baseball themed float in the Huntington Beach 4th of July Parade. There's nearly always on baseball float at this event held during the summer baseball season. The float is shown passing through the third block of Main Street in Downtown Huntington Beach, as little girls wave to the float participants. The HB 4th of July Parade is held each year on July 4, on Main Street. It begins at 10 a.m. and usually ends at Noon.